An undisclosed number of Obsidian developers who were working on Armored Warfare are being laid off early next year, after My.com relocate a portion of the free-to-play tank game’s development team to their headquarters in Moscow. Related: the PCGN list of the best free games. Armored Warfare is still being worked on in partnership with Obsidian,IllFonic and My.com, but some developers will be seeing their jobs lost as a result of the move. A representative from Obsidian confirmed the layoffs to Gamasutra. 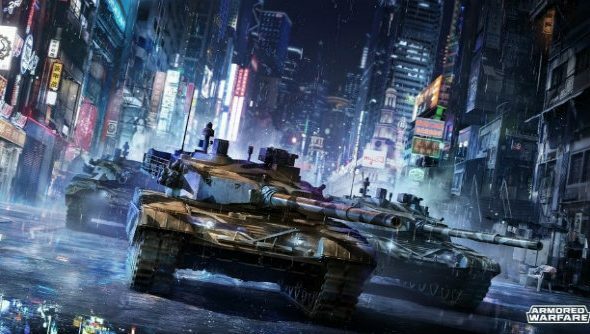 “This week we let some of our developers on Armored Warfare know that they are being laid off early next year,” said Obsidian CEO Feargus Urquhart. “The publisher of Armored Warfare decided to move a portion of the development of the product to their headquarters in Moscow. Hopefully those affected find a new home for their talents.